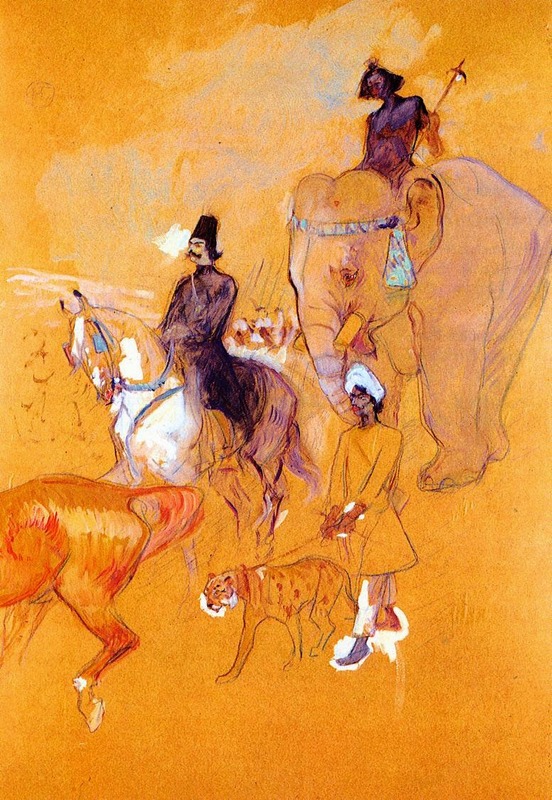 Wilhelm M. Busch drew these scenes of circus elephants, performers and handlers in the early 1980s. He loved drawing animals and visited circus performances regularly. I am fascinated by this elegant sketch above, and the one below, they both point out the differences between an Asian and an African elephant. The size of the ears, two bumps on the top of the head versus no bump, etc. For the first time Busch drawings actually remind me of Toulouse Lautrec, who also sketched at the circus. One more famous than the other, both masters of capturing a moment in time within seconds. Most inspiring stuff!! Drawings on cheap paper...the best!! These two pachyderms look like completely different animals. These two have a relationship. Wonderful pose as these ladies balance themselves on top of the elephant.